The French 2015 animated feature of Antoine de Saint-Exupéry’s The Little Prince will be released in America by Paramount on March 16, 2016. Its associated merchandising includes a plushie of the book and film’s talking fox. 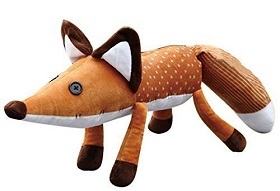 The illustrated announcements on Amazon.com imply that the plush fox is poseable. One shows it standing on two feet next to the film’s Little Girl. Another shows it on all four feet. The latter is priced $80.00 marked down to $19.99. The former is $14.99, and the order is for both figures. A foreign imported fox, clearly a different plushie, is currently unavailable and unpriced. If you want a plushie of a talking fox (but how will you know it’s supposed to be of a talking fox? ), here you go. This is a review of the original French edition. My thanks to Lex Nakashima for getting and loaning it to me. The young Alfred Bigoodee is only an assistant when he embarks on the seaplane of Lady Rozenbilt, the fabulously rich woman with tastes as fantastic as they are dangerous. This voyage will forever change his life. 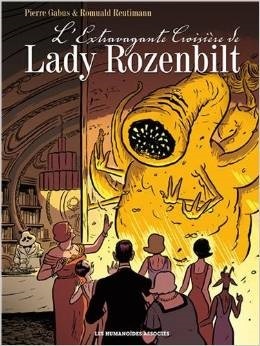 The French publisher’s American subsidiary in Hollywood has published the English translation, The Fantastic Voyage of Lady Rozenbilt, almost simultaneously with the original edition, but has declined to send me a review copy; so this review is of the French edition alone. a Ridley Scott Blade Runner megalopolis (Reutimann’s art convincingly portrays a huge but crumbling early 20th-century city) with Humphrey Bogart as the cynical private eye; and the inhabitants, each of whom has a dark secret, divided roughly into one-third humans, one-third anthropomorphic animals, and one-third outer-space immigrants in their flying saucers. The humans are the upper classes of society, but that doesn’t mean that the humanoid animals are not at least as active when it comes to really running things. One of this world’s supporting characters is the mysterious cat-man Captain Bigoodee; American- or English-accented in the French edition or French-accented in the American edition. This is the story of his youth, and of how he loses his innocence. Paris, Les Humanoïdes Associdés, October 2013, hardcover €15.99 (124 pages). Jerry Beck has just announced on his Animation Scoop website that Shout! Factory will release the December 2013 Belgian-made (for Christmas 2013 release in French-speaking parts of Europe) 85-minute animated feature The House of Magic, retitled Thunder and the House of Magic and dubbed into English, in theaters in U.S. “selected cities” on September 5. The selected cities include New York, Los Angeles, Atlanta, Boston, Houston, Miami/Ft. Lauderdale, San Francisco, and Washington, DC. Shout! Factory is primarily a DVD releaser, so presumably this will become a generally-available DVD release shortly after that. Under either title, this looks like a kids’ CGI animated feature that furry fans will enjoy, with an anthropomorphized kitten, rabbit, mouse, dog, doves, and lots of Toy Story-type toys saving an elderly stage magician’s house from being sold out from under him by a greedy nephew. The movie is made by Brussels’ nWave Pictures, which made the 2010 A Turtle's Tale: Sammy's Adventures and the 2012 A Turtle's Tale 2: Sammy's Escape from Paradise features that have already become children’s DVDs in America. M.R. Anglin’s author’s page on Amazon.com identifies her as a young Jamaican resident of the U.S.
“Fanfiction” has a particular place in her heart since she started by writing fanfics. She enjoys writing YA and middle grade fiction. She has a different definition of “fanfics” than most other people, since her amateur fiction is all original, without anyone else’s copyrighted characters in it. Even though the main characters are animals, it is meant for an audience of 13+. I'd consider it Christian (or at least inspirational) fantasy fiction. I assume that means she considers fiction with talking animals as being for young children; e.g., she is not familiar with furry fiction. 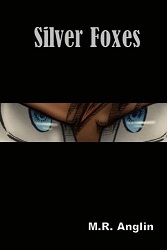 Besides these three Silver Foxes novels, she has written Lucas, Guardian of Truth, a Christian fantasy with a human 11-year-old protagonist. Anglin’s first two Silver Foxes books were self-published through Lulu.com. She has recently transferred them to CreateSpace, and finished the third novel. 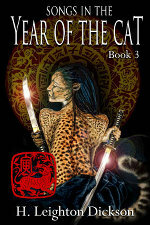 This year , I've been working on revising and revamping book 3 in the series for print. Silver Foxes, by M. R. Anglin, Raleigh, NC, Lulu.com, April 2008, trade paperback $12.00 (134 pages). Winds of Change, by M. R. Anglin, Raleigh, NC, Lulu.com, June 2009, trade paperback $14.99 (216 pages). Prelude to War, by M. R. Anglin, Seattle, WA, CreateSpace, October 2013, trade paperback $11.99 (viii + 298 [+ 1] pages), Kindle $2.99. RedSilver: Nature’s Evolutions is a new anthropomorphic fantasy novel written by Steve Alford. It’s available now at Lulu.com. “When Red Sunset, an ordinary vixen from Devon, is chosen by Mother Gaia to defend the Heart Forest from attack, she can hardly believe what is happening to her. As one of the legendary Animentals, she can command powers she could only ever have dreamed of. But this is a far from idyllic situation. 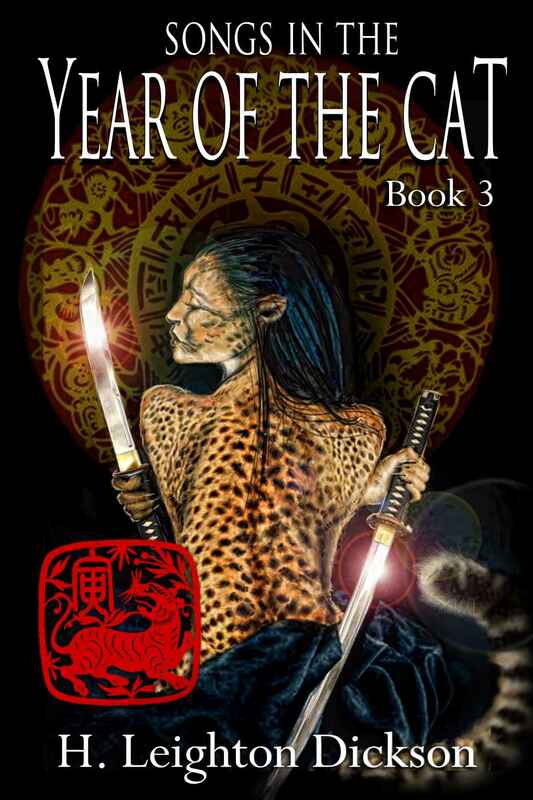 The Heart Forest is under attack by strange creatures unlike anything she has ever seen before. 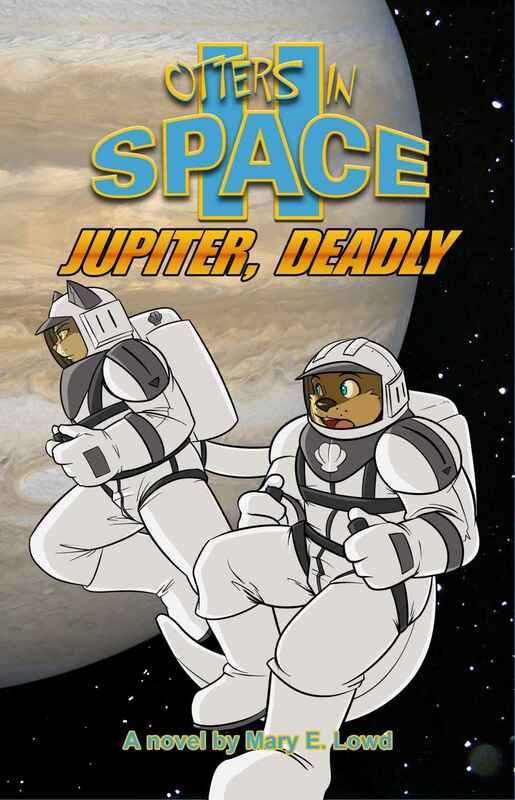 And if the Animentals fail, the consequences run far further than she could ever imagine…” The book is illustrated in black & white by the artist known as Silent Ravyn, who has also uploaded a collage of illustrations to their Fur Affinity page. 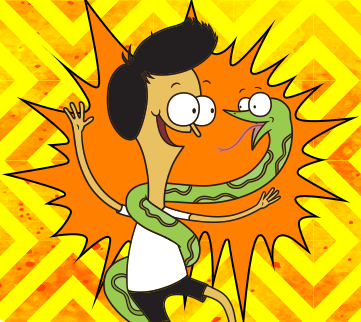 Suddenly everyone is talking about Sanjay and Craig, a new animated TV series on Nickelodeon. It stars the voice of Chris Hardwick (comedian, bowler, and head honcho of The Nerdist Channel on YouTube) as Craig, the best friend of a young suburban boy named Sanjay. Craig, it turns out, just happens to be a talking snake. The Nerdist web site has more details, and you can check out the glowing review at Gerry Beck’s Animation Scoop, also. The series is up and running on Nickelodeon now. 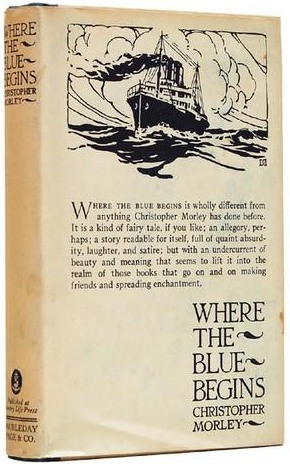 Mr. Gissing, a gentledog of leisure contentedly residing in Canine Estates with Fuji, his butler (a Japanese pug), on an income of 1,000 bones a year, becomes dissatisfied and leaves home to search for where the blue begins (a purpose to life). Garden City, NY, Doubleday, Page & Co., October 1922,  + 215 [+ 1] pages, $1.75. Kindle $8.89. 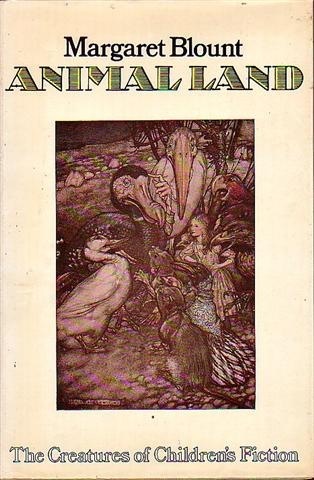 Illustrated by Charles Vess. The age rating on this is “8 and up”. This is one of those “all ages” books like The Wind in the Willows that you will not want to miss just because it may be in the children’s section of your bookshop or public library. Seek it out! It is worth it. 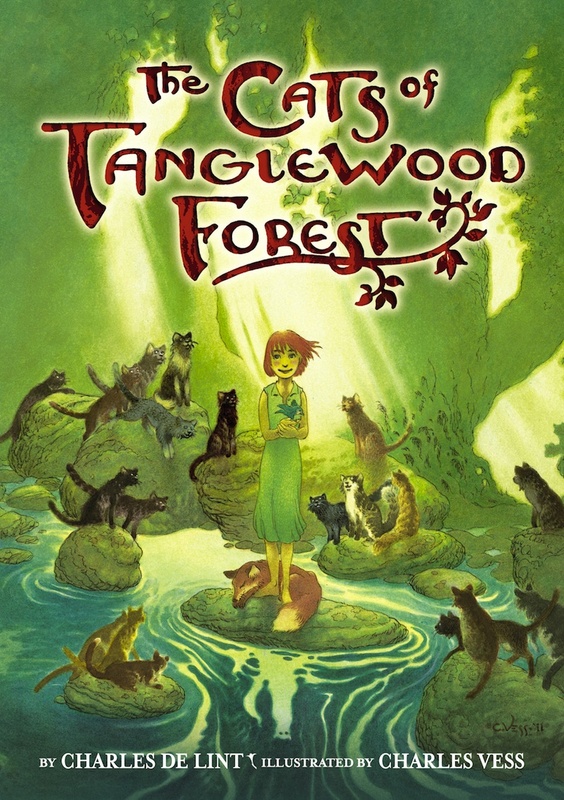 Lillian Kindred is a little girl whose parents are dead and who lives with her Aunt on a farm at the edge of Tanglewood Forest. The book doesn’t say how old she is, so that’s probably not important. What is important is that she’s established as old enough to be allowed by other people to play in the forest alone, and young enough to look for fairies. One of the things that she sees is lots of cats wandering freely – feral cats and farm cats. She does not bother them, but she does put out dishes of fresh milk for them. One day she falls asleep in the forest, and is bitten by a venomous snake. Vess’ illustration shows a coral snake; the worst kind. Wikipedia says that, “Coral snakes have a powerful neurotoxin that paralyzes the breathing muscles; mechanical or artificial respiration, along with large doses of antivenom, are often required to save a victim's life.” Lillian does not have any of that. She is alone at the foot of a tree, dying. The Cartoon Brew has photos of the first advertising for Reel FX studio’s first CGI feature, Free Birds, due November 1. The advertising, at CinemaCon at Caesar’s Palace in Las Vegas on April 15-18, included this 3D printed display. Free Birds, previously announced under the working title of Turkeys, is about Reggie (voice of Owen Wilson) and Jake (Woody Harrelson), two odd-buddy turkeys who time-travel back to Pilgrim days to eliminate the present-day turkey-eating Thanksgiving feast. Here’s one we somehow missed over the past couple of years, but we found out about it now, finally: Alex Walker and the Circus of Secrets, by Michael Mayo. 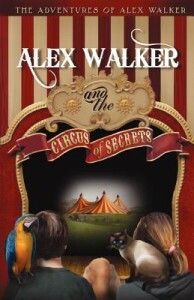 “On the run from his father’s deadly plans, Alex and his mother stumble upon a small traveling circus in a Kansas field. A strange accident awakens a hidden ability: He can speak to the animals — and they can speak to him. He meets an elderly cocker spaniel, a macaw, and a Siamese cat who tell Alex he is their long-prophesized savior. Alex must learn to fight for their lives — and his own.” This young adult novel is available now in paperback from Valstar Publishing, and also in a Kindle edition. Another bonus: Proceeds from the sale of the book go to various no-kill animal shelters. 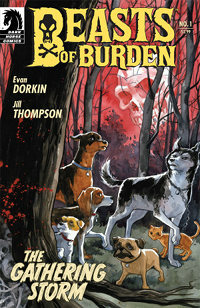 Cartoon Brew has announced that Dark Horse’s Beasts of Burden comic book by Evan Dorkin (writer) and Jill Thompson (artist) is being developed into a CGI animated feature film by the Reel FX Creative Studios in Los Angeles and Dallas. The feature is to be written by Darren Lemke, directed by Shane Acker (director of darkly depressing post-Apocalypse animated feature 9), and co-produced by Reel FX’s Aron Warner and Dark Horse’s publisher Mike Richardson and Andrew Adamson of Strange Weather Films (director of the first two Shrek and first two Chronicles of Narnia movies). While the history of animated feature films is replete with movies featuring talking dogs and other animals, there are relatively few starring four-legged “natural” dogs (Disney’s Lady and the Tramp and Amblimation’s Balto come to mind), and virtually none with serious suspense/horror plots.